Runners all know the problem. We love to use our phones for music, gps and tracking but where do you put that phone on your run. I have seen lots of people running with there phones in there hands but that is not a real solution. If you have a Samsung Galaxy S4 then this case can be perfect for you. The phone slips in a pouch and keeps the screen accessible and then the phone becomes an armband that you can easily wear and now you don’t have to worry about loosing or damaging your Galaxy S4. 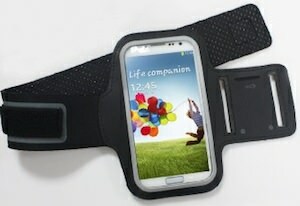 So if you want to go running with you phone then check out this Samsung Galaxy S4 Running Armband Case. If you like a game of basketball and you have a Samsung Galaxy SIII then you are gone love this case. 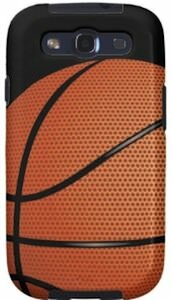 This case is black and shows a picture of a basketball and it almost covers the whole back and sides of this case for you Samsung phone. The basketball case is made by Case-Mate and keeps all the ports and buttons available while protecting you phone. Between you phone and the hard shell there is even a soft liner so that your Galaxy SIII will be protected even better from impacts. Sports fans come and check out this Samsung Galaxy SIII Basketball Case. OK so you have a Samsung phone that need some holiday spirit. No problem this case for the Galaxy SIII can do that job. 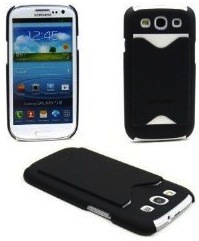 This case is made by Case-Mate and will protect your Samsung Galaxy phone from harm and makes it ready for Christmas. 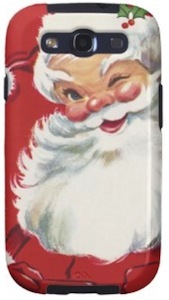 The case is red with a classic picture of Santa Claus on it with his big white beard. So get ready for Christmas with this Samsung Galaxy S3 Santa Clause Case. We all know that the Doctor travels in a blue police phone box that he calls the Tardis. And now you Samsung Galaxy SIII phone can travel in one to. This case made by Case-Mate will protect you Samsung phone from harm and makes it look like the Tardis from Doctor Who. So if your case is still bare and boring then come give it a case. 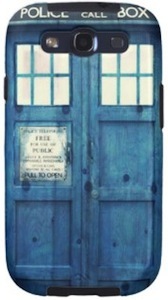 Check out the Samsung Galaxy SIII Tardis Case. If you like baseball then this is the case for you. This case for the Samsung Galaxy SIII looks like a old fashion baseball. And as this case is made by Case-Mate you know that it will protect your phone from harm. The case is made from hard plastic with a rubber lining to make sure it survives impact. 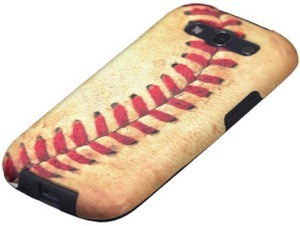 So if your Samsung Galaxy SIII phone need a new look then you should have a closer look at this Samsung Galaxy SIII Baseball Case. So you have a Samsung Galaxy S3 and a credit card and you want to take both with you all the time. Having both separate in your pocket is an option but there is a better one. This hard case will protect your Samsung phone from harm and has a slot on the back where you can store you credit card in. So now you have both in one spot and your Galaxy S3 is protected from harm. And the 3 nice thing is that this does not have to cost to much either. This whole solution cost less then 5 dollars. Come and have a closer look at this Samsung Galaxy S3 ID Card Case. Why have two cables to charge your iPhone / iPad and a micro USB device? Right not it’s not necessary this cable can do both at the same time. This cable can do both charge and sync you iPad and for instance your Android phone. It just needs 1 USB port and you are good to go. 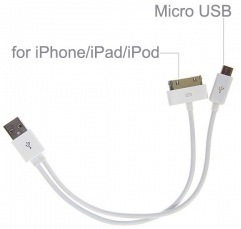 Come check out this USB Charging Data Cable For Apple 30 Pins And Micro USB. Your Android Galaxy Nexus from Samsung needs a fun case to protect it from harm and just to look fun. This case is made for the GSM version of the Galaxy Nexus. Unfortunately you will not be able to play on the Game boy side but a case like this will bring back a lot of fun memories from when you had you Game Boy. 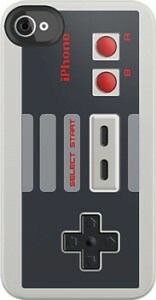 Come check out this Google Galaxy Nexus Game Boy Case. So you got yourself a nice 7″ tablet but how do you keep it protected? How about a fun cloth case with the Google Android logo printed all over it? This case comes in 7 fun colors and will be a great way to protect your Galaxy Tab, Xoom, Kindle Fire or any other Android tablet. If you want it could even fit your playbook. And this case is cheap. This case cost less then 5 dollars including world wide shipping and that means that you can get one that fits your outfit. 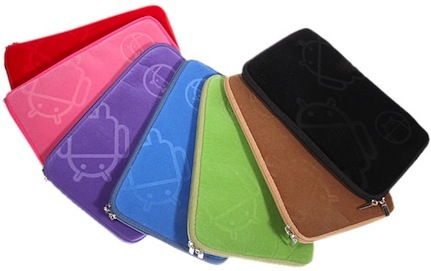 Protect your 7″ tablet with this Android Tablet Case.